'What's happening to pets and their families throughout our region is unconscionable. When pet parents can't afford to care for their pets they either feed them before they feed themselves or abandon them. For some, a pet is the only companion they have. This is unacceptable to us. Pets are an integral part of any family. We need pets and they need us. ' And that's why we started the pantry. 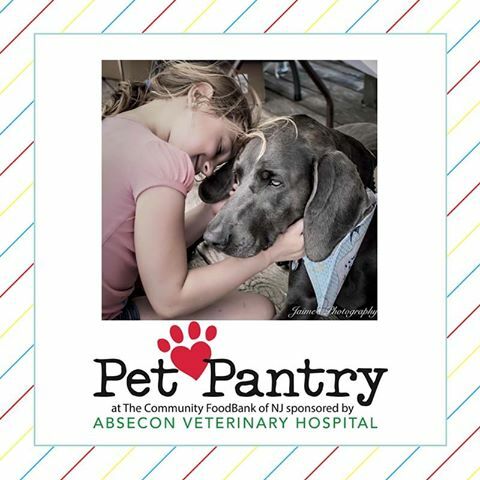 Business was slow at first, but our friends at the Community FoodBank of New Jersey made sure those pets who needed food were vetted and had no more than two pets. They were also given information on where to receive no or low cost spaying, neutering and rabies shots.